I review 27 of the best project management software available online and rank them based on 5 key factors. Check out my roundup below. Today, I am bringing you the best project management and planning software available in the market. A simple Google search will bring you all kinds of tools and applications and surprisingly the lists include tools that don’t even belong in the project management space. With all due respect, a simple to-do list application or a note-taking app is NOT a project management software. Design and Ease of Use: It needs to be simple, intuitive and must have a minimal learning curve. Features and Functionality: It doesn’t need to have every single feature one can think of but MUST have the essentials to run a team and manage projects without any hassles. Being a fan of the ‘Getting Things Done’ approach, the project management software needs to be able to help you deliver projects on time (doesn’t matter if it’s a Kanban, Gantt, GTD or uses any other methodology). Pricing: The software needs to provide value for money. $5 or $500, as long as it justifies the price. Security: Will your data be secure and available when you need it? Well, there’s no such thing as absolute security, but does the company take necessary measures to protect information? Customer Support: Untimely customer support can seriously impact the delivery of the entire project. The software should have great pre- and post-sale customer service. Then there are other factors like overall credibility, no. of users the project management software has, its popularity, revenue, growth figures, etc. These are important factors too while considering the right project management software, but in my opinion, they should only matter once the above five criteria are fully met. Here’s a list of best (free and paid) project management software to use this year to stay on top of your projects and maximize work efficiency. One of the most comprehensive and powerful project management software out there. 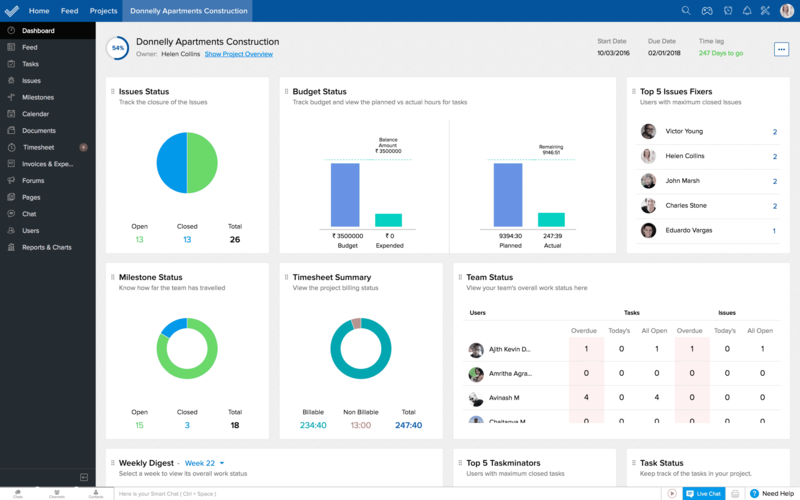 Jira recently went through a major overhaul in terms of design and user interface and gee, it looks nice. If you strictly exercise agile and scrum methodologies in your workplace and don’t mind the learning curve, Jira is exactly your kind of tool. With over 1,000 add-ons in Atlassian marketplace, you can hardly think of a feature it doesn’t have. But keep in mind, add-ons do come with additional cost. Jira is an enterprise level software very well capable of handling huge complex projects with built-in bug and issue tracking. However it’s not very popular among the masses especially the non-technical teams due to its steep learning curve. 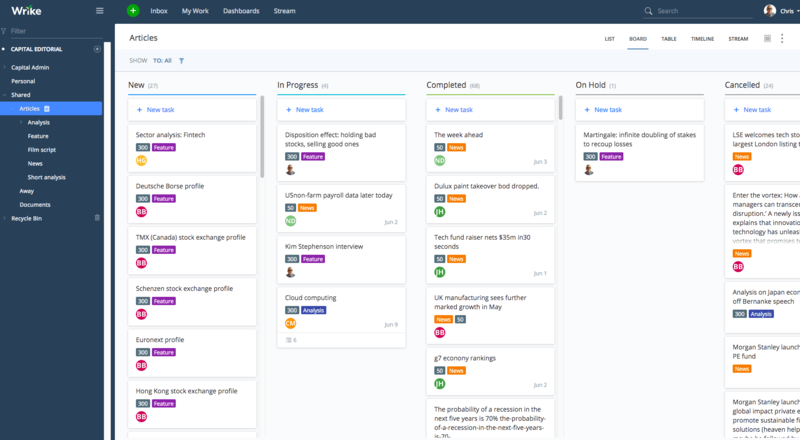 Jira’s Kanban boards provide teams with full visibility of what needs to be done. 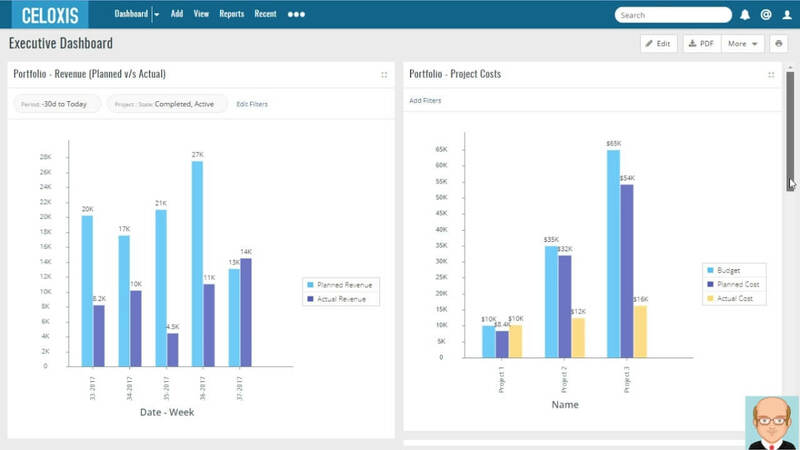 Agile reporting to get actionable insights on the project’s progress and team performance. See the bigger picture with roadmaps and timelines. Manage complete lifecycle of issues with built-in bug and issue management. Self-hosted project management software for better security and uninterrupted accessibility. Jira (in the cloud) comes with the following pricing plans. Up to 10 users – $10/user/month unlimited tasks and projects. 11 to 100 users – $7/user/month for unlimited tasks and projects. There are very few project management software in the market that offer a complete lifecycle of project and task management. Paymo unites task management with project planning, scheduling, time-tracking, invoicing, and resource management, all under the same roof. Paymo is loved by thousands of freelancers and entrepreneurs around the world due to its unmatched time-tracking and invoicing functionality. If you’re running a client-agency project, you won’t be disappointed by what Paymo has to offer. Check out our detailed Paymo review here. 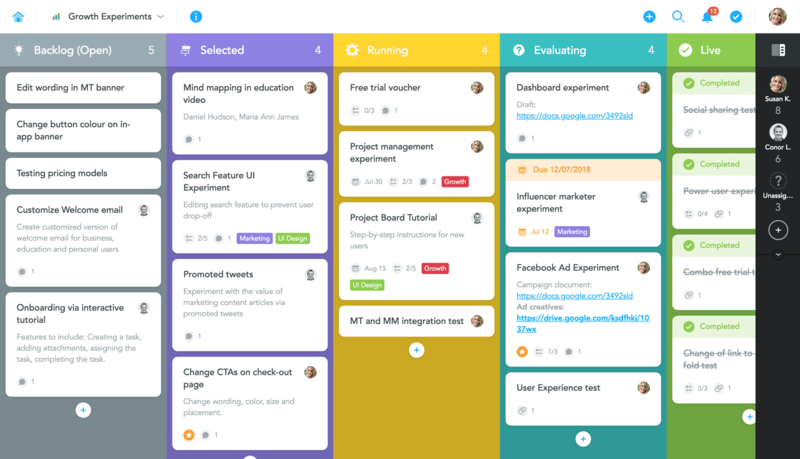 Meta Kanban boards allow you to see multiple board projects in one board. 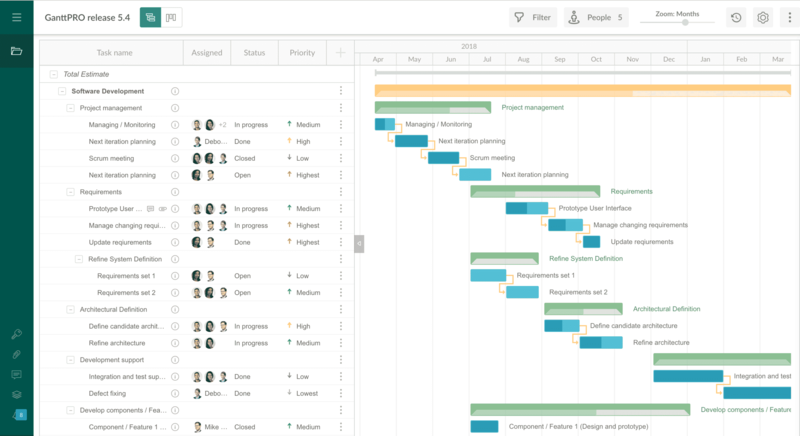 Meta Gantt charts give you a bird’s eye view of all your Gantt projects under one portfolio Gantt chart. Built-in time tracking module lets you easily track time along with cost estimations and invoicing. Resource scheduling and management give you a visual representation of your team’s availability and workload. Paymo comes with the following pricing plans. Free – Kanban, time tracking, 1GB storage, basic reporting, up to 3 invoices, and 1 user. Small Office – $9.56/user/month, all free features plus unlimited invoices, advanced task management, project templates, 50GB storage, and integrations. Business – $15.16/user/month, everything included in Small Office plus resource scheduling, Gantt charts, unlimited storage, online remote assistance, and free training. A really mature project management software with over two decades of market experience. Wrike is a very popular tool and rightly so thanks to its advanced features like reporting, communication and project planning. 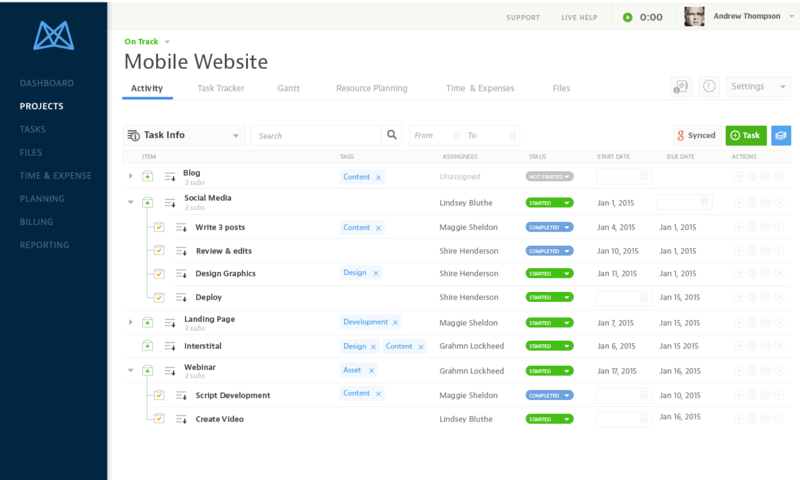 Wrike is a comprehensive and feature-rich project management tool that opens up more and more possibilities for you as you dig in further and this has a lot to do with its support for customizations. In my honest opinion, Wrike is built for professionals and if you’re not very familiar with the project management methodologies and techniques, it might take you a little extra time to get hold of Wrike. It is one of those tools that grows on you as you continue to use it for a few days. All in all, Wrike is a decent choice for medium to large organizations. 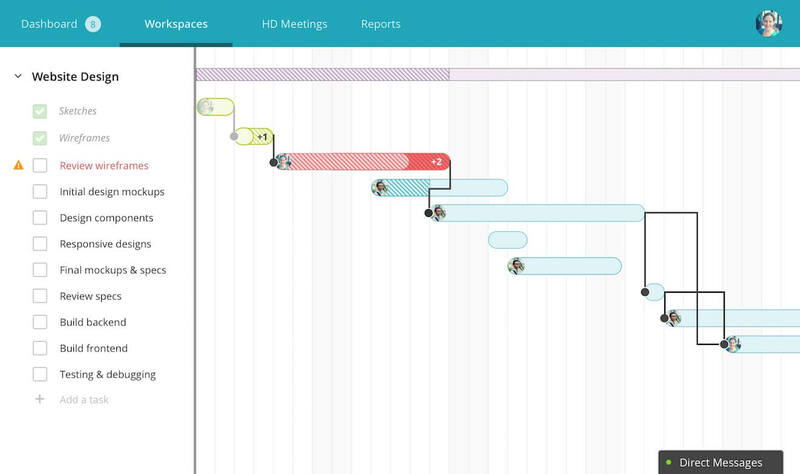 Project timeline maker and Gantt charts with additional resource management to visualize your entire project schedule. Great built-in online collaboration tools including real-time chat and live streams. Customizations and workflow automation can save you hours. Loads of extensions allowing you to communicate with third-party applications. Free – task management, file sharing, real-time activity stream, 2GB of storage space, mobile applications, basic integrations, spreadsheet view and more. Professional – $9.80/user/month, from 5 to 15 team members, subtasks, advanced integrations, dynamic timeline, 5GB of storage space, sharable dashboards, Gantt charts and up to 15GB of video storage per month. Business – 80/user/month, from 5 to 200 team members, custom fields, workflow automation, advanced reporting and graphical analytics, time tracking, user groups and permissions, branded workspace, 50GB of storage space and up to 15GB of video storage per month. Marketers – $34.60/user/month, from 5 to unlimited team members, Adobe Creative Cloud extension, tailored workspace, and marketing automation. Enterprise – Custom, from 5 to unlimited team members, advanced security, up to 100GB storage space, up to 15GB of video storage per month and user audit reports. Built to address all possible collaboration needs in a single solution, Bitrix24 makes it to the 9th spot in my roundup of the best project management software. Zoho has made its name over the years and has become one of the fastest growing business collaboration platforms in the world. 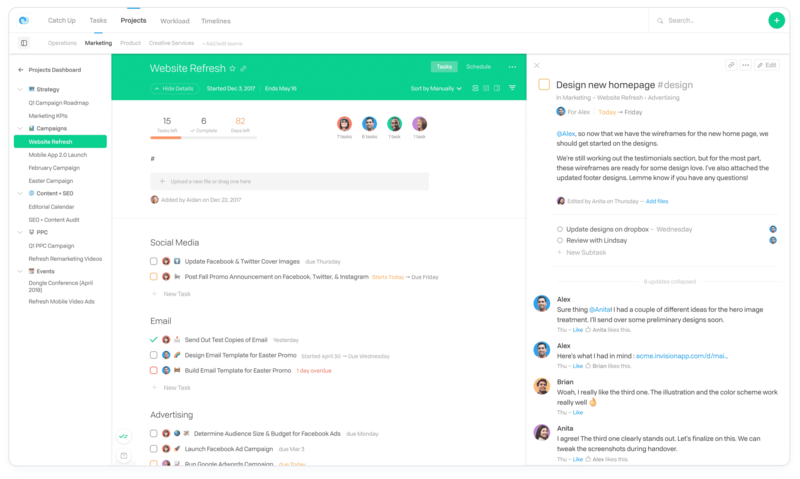 It’s no surprise Zoho is one of the best project management software out there. With Zoho Projects, you get a beautiful project Gantt view to plan and prioritize all your tasks. There’s also a GitHub integration that comes with Zoho Projects so you can keep track of all bugs and issues. And that’s not all, there are many more integrations available. Managing an Agile Project? Check out Zoho Sprints. Probably the best of the lot among the emerging project management tools. ClickUp is very handy when it comes to getting things done. The design isn’t as intuitive as you would want it to be, perhaps because they are trying too hard on incorporating too many features and customer requests. However, ClickUp does provide all major task management essentials under one roof and you can run your startup or medium sized team on it with complete ease. ClickUp lets you create a multitude of workspaces which can be used for departments within your organization, a side project you’re working on or even if you wish to manage your clients separately. The price range and value makes ClickUp earn a spot in this list of best project management software. ClickUp lets you add multiple assignees to tasks. Custom statuses allow you to work more freely and customize your workflow. Reporting give you insights on whether you’re on-track, behind or ahead in the game. You can repeat tasks using the recurrence feature and even trigger recurrences based on events. ClickUp comes with the following pricing plans. Free – unlimited tasks, projects, team members, up to a max of 100MB storage. Unlimited – $5/user/month for unlimited tasks, projects, team members and storage. With over 350,000 people on the platform, GanttPRO is a smart choice when it comes to SaaS project management apps. 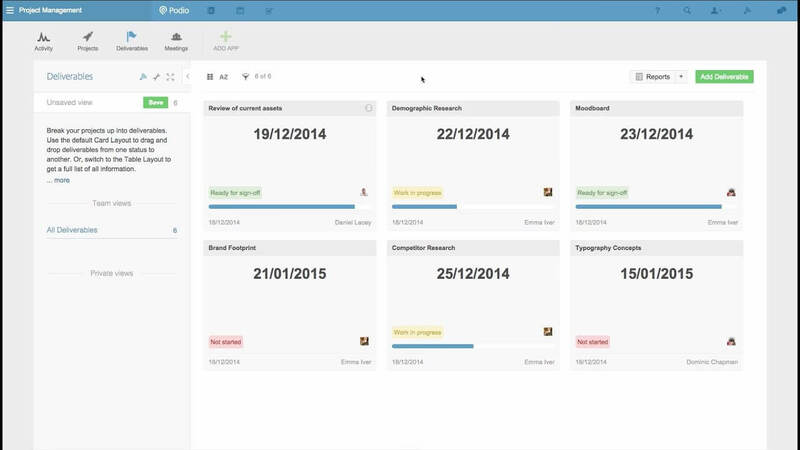 You get task management, workload visualization, comments, attachments and task dependencies. Then there is decent hierarchy, with subtasks, child tasks, milestones, child milestones and more. Lastly, you get a comprehensive visualization for every aspect of your project on a simple but beautiful Gantt chart. And there are nifty features for sharing and/or exporting the project Gantt view. Furthermore, to ease onboarding, GanttPRO provides you with various project templates. From software development projects to product marketing and new campaigns, GanttPRO’s project templates are nicely defined and are great help to get you started. A no-brainer choice for your project management needs. Asana is a leader in the project management space which made complex project management easy and achievable for the masses. Simple, intuitive and sleek are the words that come to my mind when I think of Asana. If you are starting up and finding it difficult to get on your feet, Asana should be your first choice. Asana lies somewhere in between task management and project management software and will work great for you if you do not have a lot of complex needs such as Gantt charts, risk & issue tracking, comprehensive resource management, budgeting etc. In a nutshell, I do recommend Asana for non-software projects. End-to-end task management with sub-tasks. Drag and drop Kanban project view. Timelines to ensure you keep on track with the deadlines. Ready-made industry templates to get started in a jiffy. All your attachments and documents in one place. Asana comes with the following pricing plans. Basic – Free, up to 15 team members with feature limitations. Premium – $9.99/user/month, unlimited tasks and projects, dependencies, start dates, timeline view, advanced search & reporting, status updates and progress view. Business – $19.99, everything included in Premium plus portfolios, locking custom fields and customer success options. Enterprise – Custom, everything included in Business plus advance security, custom branding and data deletion and backup options. A very well thought-out project management and team collaboration software. Basecamp uses their own terminology such as “Campfire” for team chat and tasks as “to-dos” which is quite different from what I’ve seen in other tools. Overall a very friendly tool with a hierarchy that goes from creating a headquarters which is basically your workspace, and then teams and projects in that order. Overall a friendly interface but it does require some learning curve to get started. Design could be better as it uses a boxed format which means a lot of real-estate is going wasted. However, I really enjoyed the tool as it has tons of good features, great customer support and quite simple to use. Built-in real-time chat also known as Campfire takes your reliance away from other third-party collaboration tools. Document and file storage makes it really simple to keep all your assets organized and easily accessible. Automatic check-ins are questions that are sent out to team. Such as ‘What did you work on today?’, ‘Are you blocked on anything?’. This helps you to understand and address the challenges that your team members might be while working on a project. 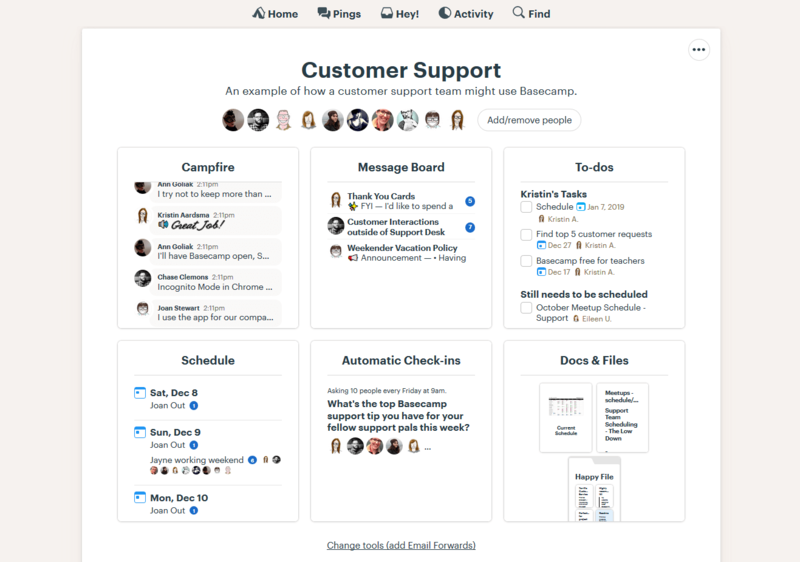 Basecamp has only one plan and a 30-day free trial. $99/user/month, all-inclusive with unlimited team members, projects and more. 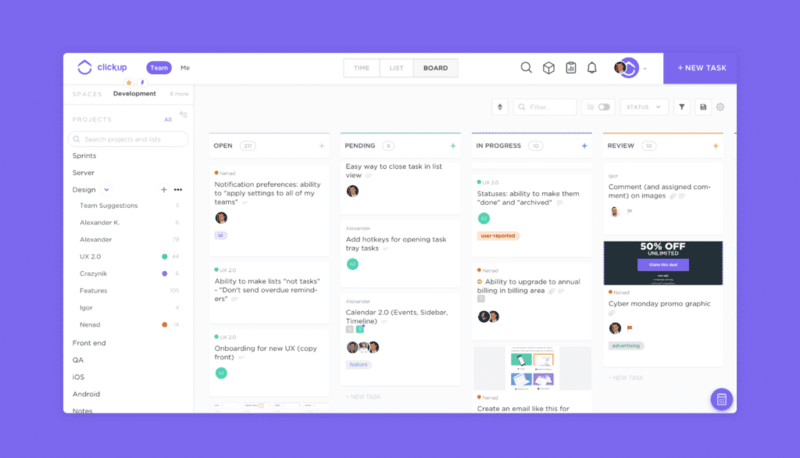 If you’re looking for a project management tool that has enough bells and whistles to make your experience worthwhile both in terms of ease of use and cost, Flow is what you need. Flow impressed me the moment I signed up. 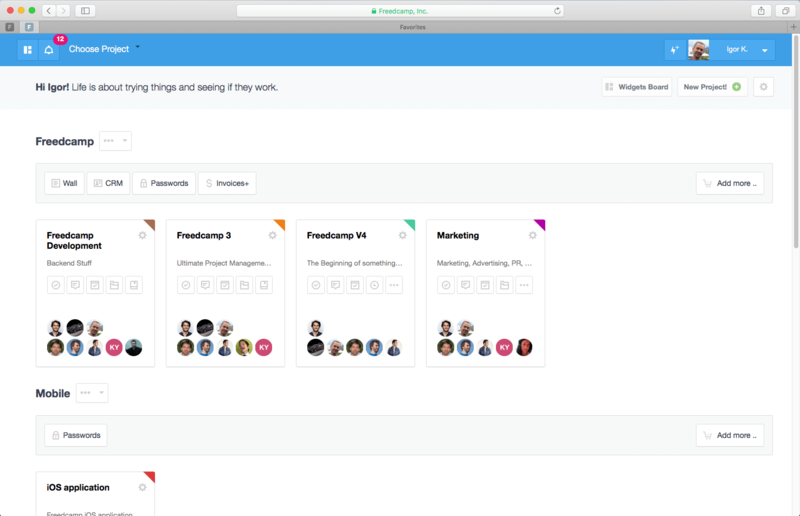 With interactive timelines and Kanban boards, Flow is ideal for startups as well as medium-sized businesses. I’m very impressed with the clean, colorful yet simplistic design that doesn’t make you feel bored at all. Built-in Kanban allows you to create agile projects. 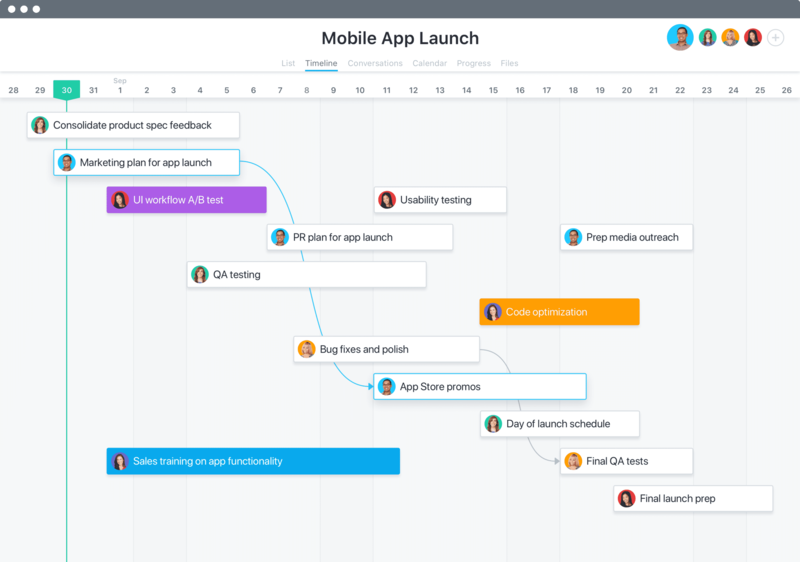 Interactive timelines help you easily manage time-sensitive tasks and projects. Task profiles and resource management for project managers to maintain a balance of workload and optimal allocation. Never miss an update with task comments. Flow comes with the following pricing plans. Standard – at $4.79/user/month, unlimited tasks and projects, access to public API and integrations. Pro – $7.99/user/month, all Standard features plus resource management, project timelines, workgroups, and task profiles. Enterprise – Custom, everything included in Pro plus SSO, advanced security compliance and dedicated success manager. Teamwork Projects is an easy-to-use team management and project management solution designed for managers, small businesses, and large corporations to plan, organize, and get things done on time. A web-based team management software for that acts like a bridge between companies and clients. You can either begin by creating a task list or a Gantt chart. You can then add subtasks to each task and divide it among your team. The API is simple yet impressive at the same time. How about a project management tool which can allow you make changes in real-time? Yes. With Scoro, you can update the task from home and you employees can view it in the office. You can even update the client regarding the new feature that was added in the last minute. No more clicking back-and-forth to check the status of every project. 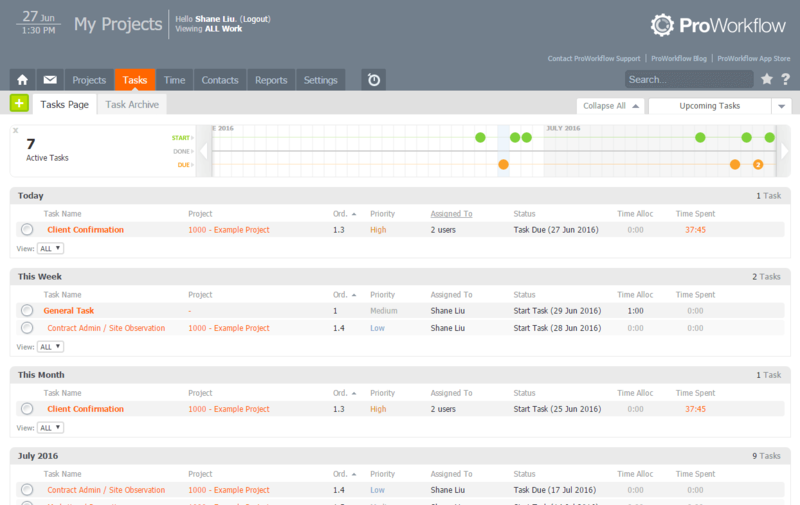 Scoro gives you the ability to track details of every project from a single page. Easy management of every project and keeping an eye on each deadline makes Scoro one of the best project management software in the market. Real-time data to make smart business decisions. Like Trello, but more visual, robust and beautifully designed. 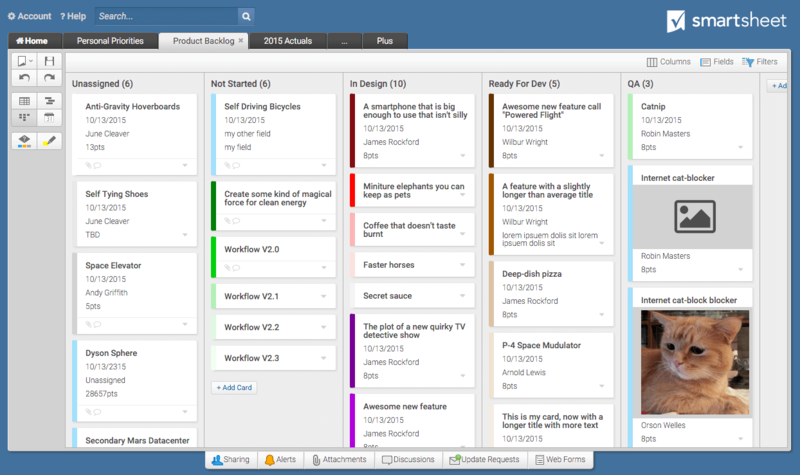 Meister Task is a Kanban-based task management software. It might come as a strong statement but having seen Meister Task’s user interface, everything else looks dull. 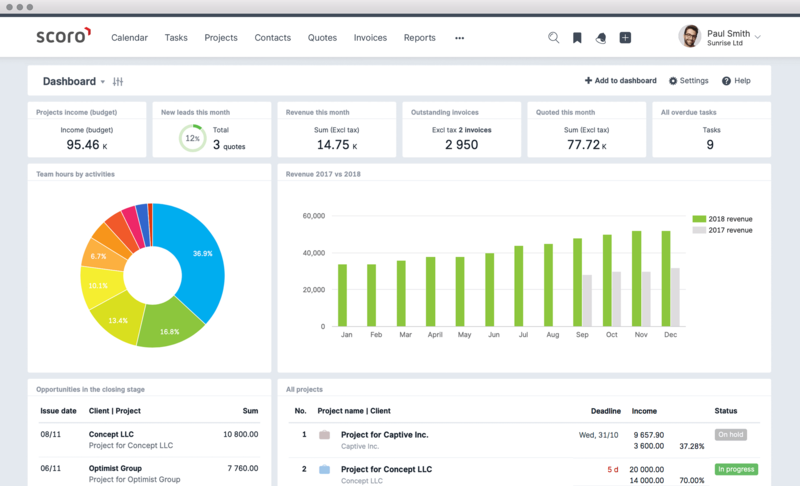 Even though Meister Task doesn’t offer a great bunch of features necessary to make it a complete project management software but it does deserve a spot due to its blazing fast performance, unmatched user interface, and flexible pricing plans. Smooth drag and drop make the overall task management experience a breeze. Time tracking with a start-stop timer lets you easily manage the time spent on each task. Easily automate your workflows using task recurrence. Statistics and reporting give you insights into your team’s productivity. Meister Task comes with the following pricing plans. Basic – Free, unlimited tasks, projects, and team members, customizable dashboards, maximum attachment size of 20MB. Pro – $8.25/user/month, everything included in Free plan plus unlimited integrations, workflow automation, reporting and statistics, custom backgrounds, priority support, searchable task archive, and account management. Business – $20.75/user/month, everything included in Pro plus custom roles and permissions, team grouping, custom fields, priority support and activity exports. Custom – tailored pricing, dedicated account manager, onboarding assistance and custom security review. 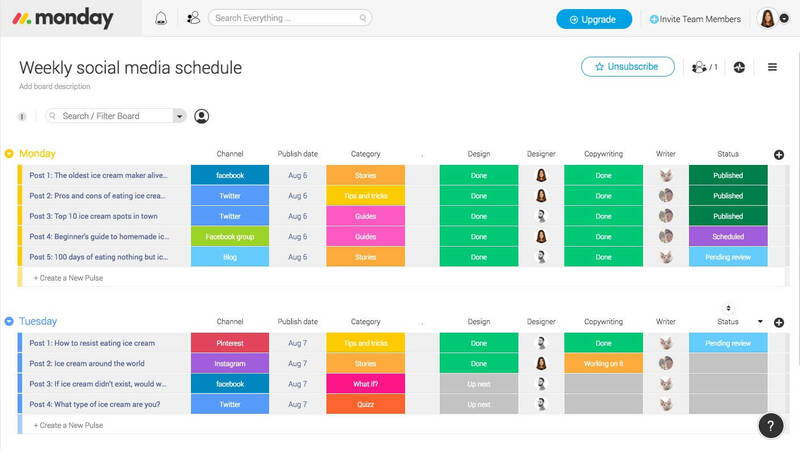 From idea to impact, you can now schedule, organize, and manage all your projects with your team effectively. Effortless integration with your favorite apps will make you fall in love with Smartsheet. It is time to abort the traditional manual management of all your finances. With Smartsheet you can digitize all your tasks online. A UCSF-supported online task management tool that can save your time and energy by intuitive project management. From big picture to minute details you can track and monitor almost everything with Trello. Not a single project or even a detail will be left behind because you’ll receive constant status updates for every project. Whether your goal is to manage a big team, write an epic screenplay, or just write down your grocery list, you can use Trello to take all your burdens away. You can assign the list to anyone else. Or you can set reminders for yourself. Managing employees with ease. A leap in team management. Monday.com is an online task management tool which enables teams to work smarter, faster with an economical budget. A feel-good tool which has the largest collaboration, around 1,000 other apps to make businesses excel fast. No need to go through painfully long emails. Cut down your task list to zero with Monday.com. One of the best project management apps which is growing at an exceptional rate. Users are not just using it, they are loving it. Won the first prize in best project management tools by PC magazine in the year 2016. 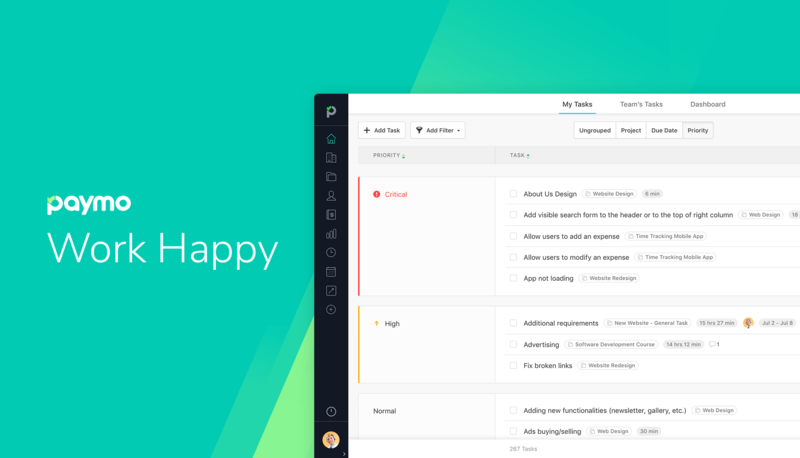 It’s time to take the strain away from your team and manage all your projects with Podio. Take your conversations to the next level. Eliminate all the barriers that are coming in your way. No need to worry about the upcoming project deadline. You’ll be notified immediately. Best Project Management Software suited for users who want custom reports and in-depth analysis on every project on the go. Whether you want to manage 5 users or 5,000 users, Proworkflow will help you organize, manage, update, and analyze projects that can finish on-time. A flexible online project management tool for smart teams. Extensive amount of tracking the project which includes pre-planning and post-planning. A project management tool for managers who are willing to ease their lives with automated task management. Easy to implement and highly impressive feature set. 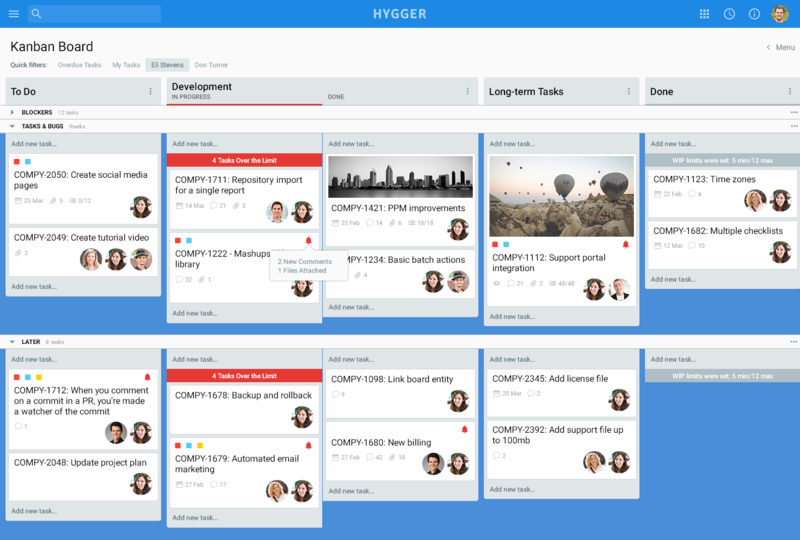 Hygger is another project management software that offers a range of features to effectively manage teams, projects and initiatives. 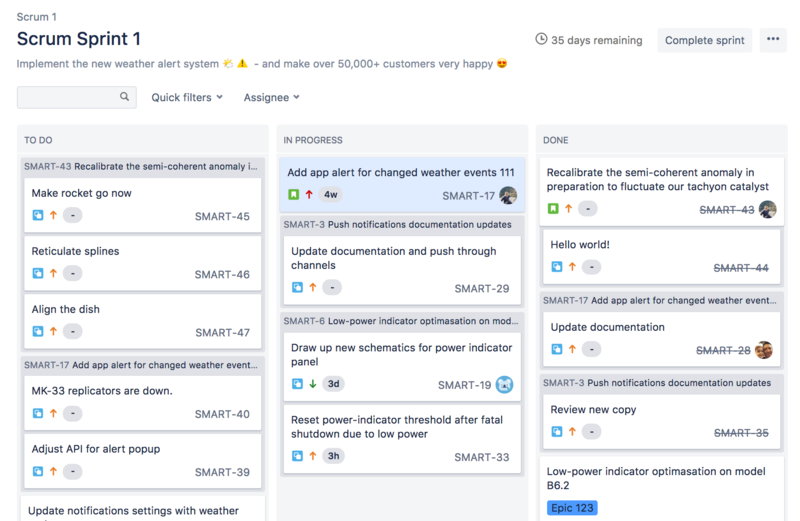 It offers a wide variety of possibilities to manage projects, from project timelines to planning tasks in Kanban boards, using Sprint boards to manage Sprints and more. You can also utilize the advanced reporting modules such as weighted scoring, RICE/ICE prioritization and the value/effort matrix to prioritize what’s important. Workzone is designed for small teams to manage their projects and organize their documents in a painless manner. Receive automatic email reminders to remind your team of the upcoming deadline of the project. An easy way for teams to manage, collaborate and finish projects on-time without getting any delays from the client. Workzone ensures that everyone in your team remains on the same page. Redbooth is a powerful, high-end project and task management software. 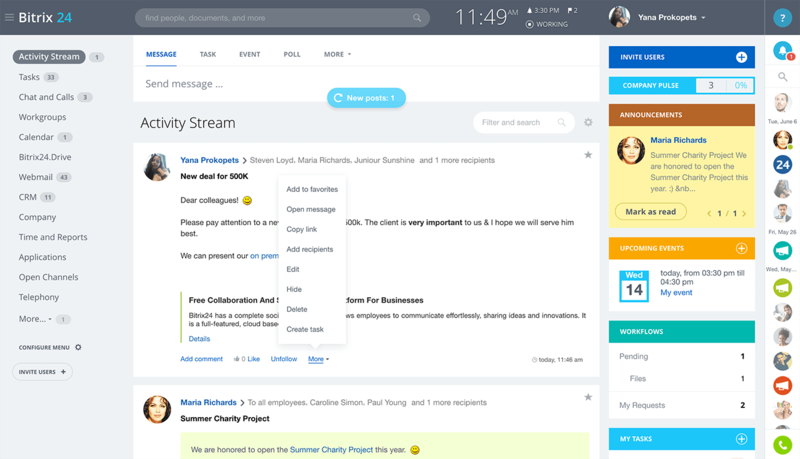 Super-charge the speed of your projects by collaborating with your team via email. Track your time with every project and assign appropriate teams to get the project done on time. If you’re fed up with the complex task management go, try Redbooth and your perception will change. An insanely easy task management tool which can help you get things done faster. 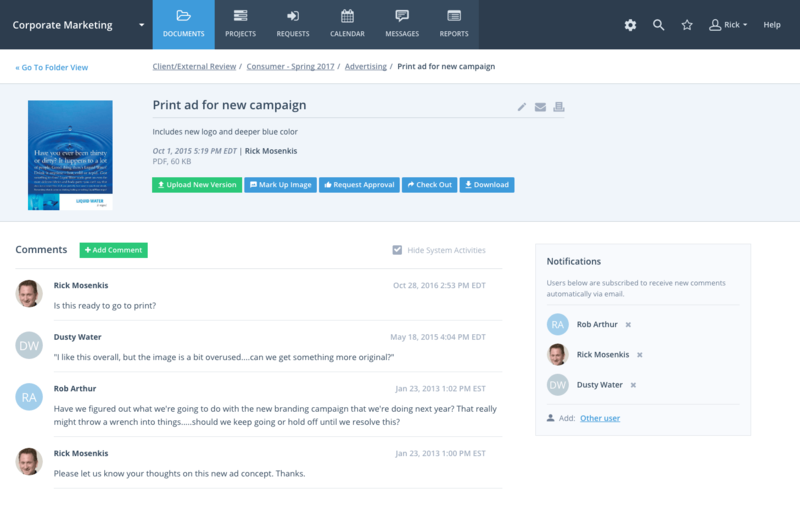 Clarizen is the social, enterprise-grade collaboration solution for your team. Feel free to add CAD drawings in your project and keep an eye on all the details that is happening in your project. Forecast your future projects. The first and only tool to combine both project management and social management under one roof. You can keep track on all your activities and get things done faster. Celoxis is an award-winning project management software. The best part about this management software is that it is affordable which makes it desirable for many small businesses and startups. The integration is seamless, and this tool is fully customizable. Are you worried about jumping back and forth with multiple pricing plans when managing many projects? Well, Celoxis is your answer. A highly economical tool which will eliminate all your financial worries and increase your profits with great margin. Ability to handle more than 10,000 tasks at one time. Real-time workload analysis and assignment of tasks. Advanced reporting makes it easy to take quick decisions. Simple mobile interface to keep things on the go. Whether you want to work alone or in a group, Freedcamp can help you manage your projects in a carefree manner. Use discussion boards to sort out problems and solve them on the go. Keep track of every task/project and get it done without firing your employees. The best part about Freedcamp is that it provides unlimited number of users even in a free version. You don’t need to switch between windows to manage different tasks, you can do that from a single window. P.S. we wanted to give a shout out to Igor Kryltsov from the Freedcamp team who pointed out some mistakes in our information and took the time to let us know. Cheers! A modern-day project management software built for people who are serious about profits. Mavenlink is not an ordinary management tool. A tool that gives you an ability to track, manage, and analyze all your projects at once. Help your team to collaborate and manage your projects in a seamless way. You will no longer be managing chunks of a project. In fact, you get hold on the entire project lifecycle. The ability to export data and keep your team members well-informed will bring everyone on the same page. Get hold of your projects with an interactive dashboard and pre-populated timesheets with 10,000 Ft. You just need to punch-in the time spent on each project and the tool will analyze the efficiency of the project and suggest necessary measures to make the best use of time. While there is a debate among what are the best project management tools, 10,000 Ft. occupies a lion’s share in the project management arena. The tool is easy-to-use with an impressive set of features. How about giving some ease to your project managers? With Easy Projects you can gift your managers an ease of control over all the projects. A Toronto-based project management tool which can cut-down the idle time of your employees. Know when the employee is free and assign them tasks. An easy to implement tool which can save a lot of energy and time for project managers. Get updates on your projects on the go. No need to worry about a deadline, you’ll get instant updates regarding every deadline that is about to happen. Earlier last week, I tweeted out asking for suggestions for this roundup of the best project management software. A lot of your responded. Since all your suggestions can’t be added to the roundup, I’ll list them here instead. 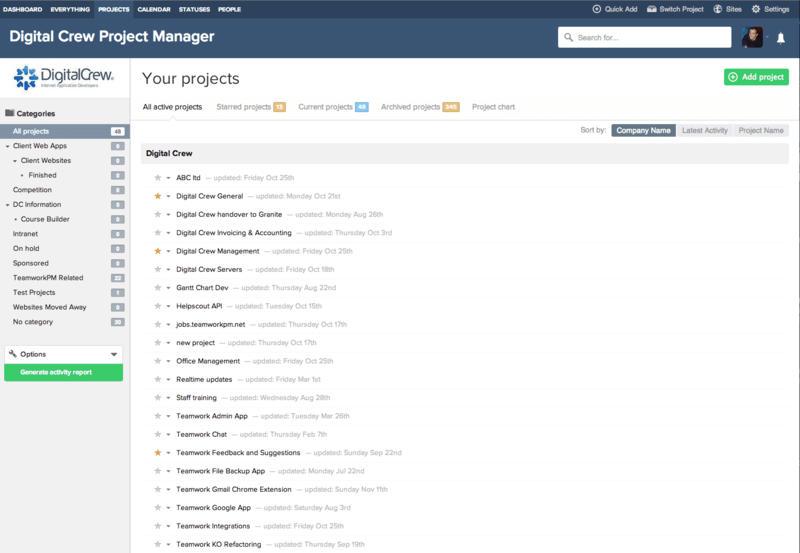 Which project management software do you use to manage teams and projects? Did I miss a tool that should be included in the list? Comment below. Wow, Bitrix24 is really impressive, never seen a free project management solution this powerful. Thanks for compiling the list, lost of new names for me. You see some new names on the list because I personally have found these emerging tools to be very good at what they do. Has a lot to do with the fact that most of these new project management tools started up out of frustration for these popular tools in the market because they weren’t able to adequately meet their needs. Frank, I love the way you rank these tools. Some of them I have used and your assessment is right on. I use Binfire now and truly believe it belongs to this list. Check it out! This is a very good review, but many solutions in the list are kind of more-of-the-same (I wouldn’t count Jira, it is an Agile / DevOPS app before anything else). Hi Anna, Jira is hard to beat when it comes to features. But, I do agree that Jira is more popular among the DevOps and Agile environments. Keepers, it’s hard to choose! We’ve been looking at Monday, which is beautiful and easy to use but lacks a few key features such as multiple assignees. Would love to know your thoughts on it. Hi Paul, yes there’s no perfect tool out in the market. It depends what project management software fits your needs. Monday (previously dapulse) is a visual tool with good drag and drop timeline functionality. Lags behind in the features but overall will do the job for smaller teams. Great post, Frank. Really enjoying Bitrix24. Heard about it before, but thought it was CRM. 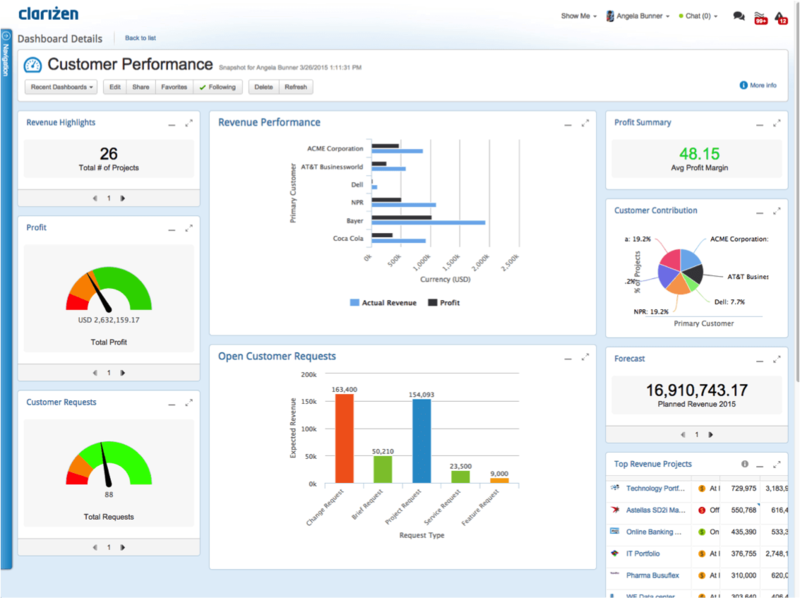 It turns out it’s not just CRM, but a really powerful project management solution. I’ve tried a couple of the tools listed above, but I still like Kanban Tool the most. It has all the features that I need, including a time tracker and some analyzing features, and it just works well. Impressive. Great list of tools. I have heard of all these tools but have not used them all. I like Gantt chart tools among which I prefer solid products like Wrike and GanttPRO. 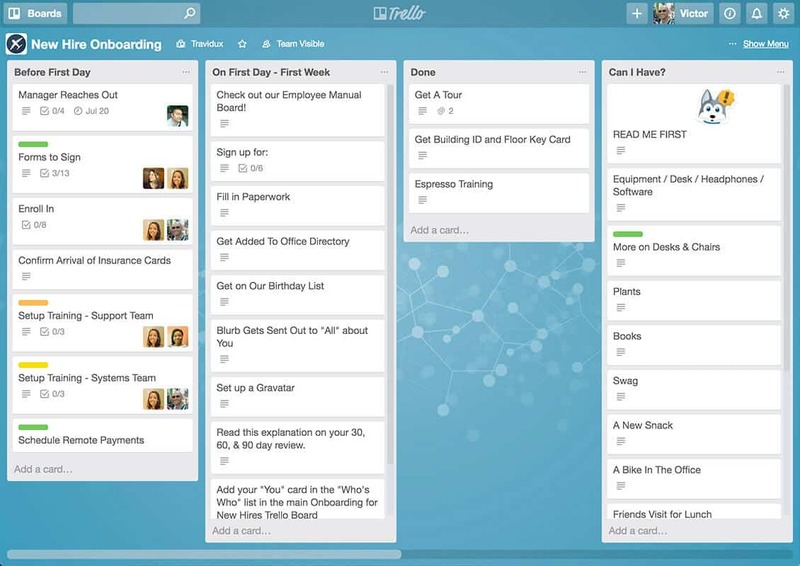 But if I go to Kanban, Trello is indispensable. Thanks. Keep up doing reviews. Hi Andrew, glad you liked the list. All of these tools are quite handy and for some, there’s so little to choose between. At the end of the day, it all comes down to preferences. How about Fizure construction project management software. Could you share your thoughts? Great to have a wide view of what’s all out there, makes a stronger opinion, thanks. At Zenkit, we created our own free online tool along with an article on teamwork, would love to have your opinion.